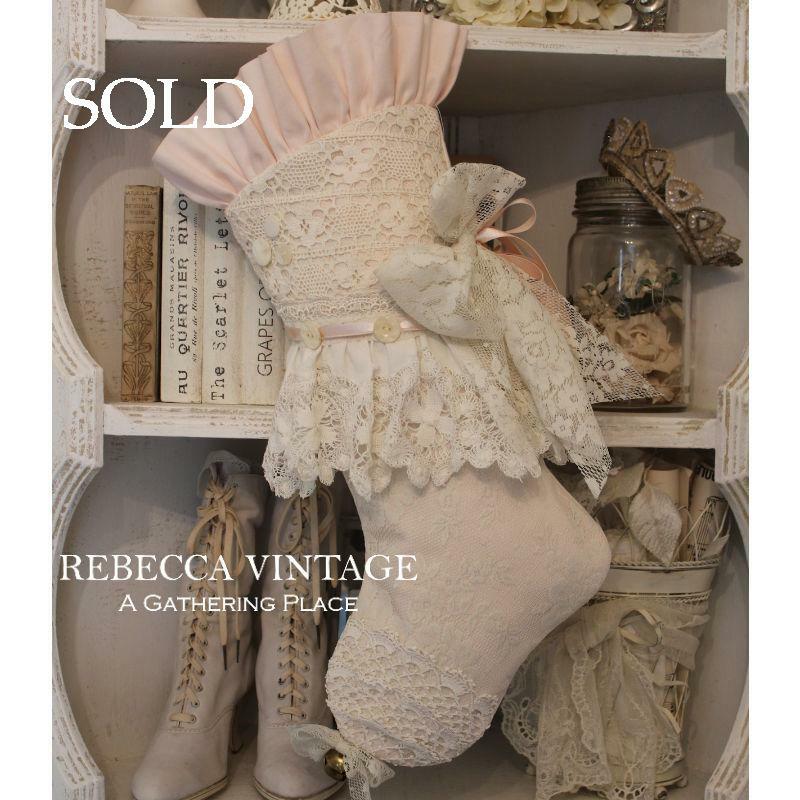 Welcome to A GATHERING PLACE and our 2017 Christmas Stocking offerings! We have begun uploading some of our latest Christmas Stocking designs! Thank you again so very, very much for stopping in and checking out what's new! It's been a wonderful, but busy, year for us! A gorgeous soft pale pink cotton was used to fashion this romantic Christmas Stocking! 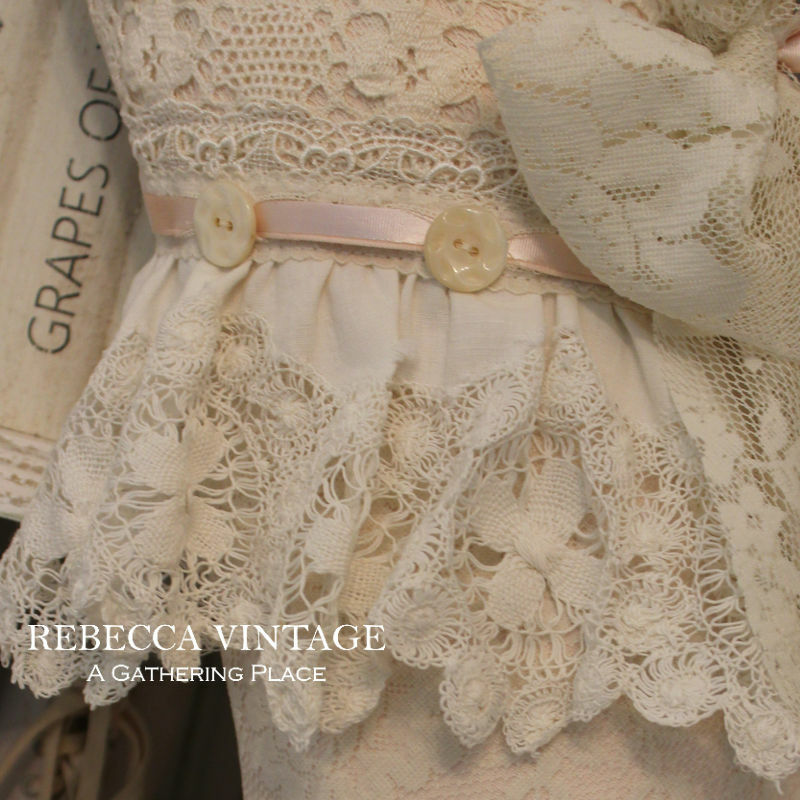 Layered with beautiful vintage lace sheeting and accented with a simply gorgeous flounce of vintage handmade lace. 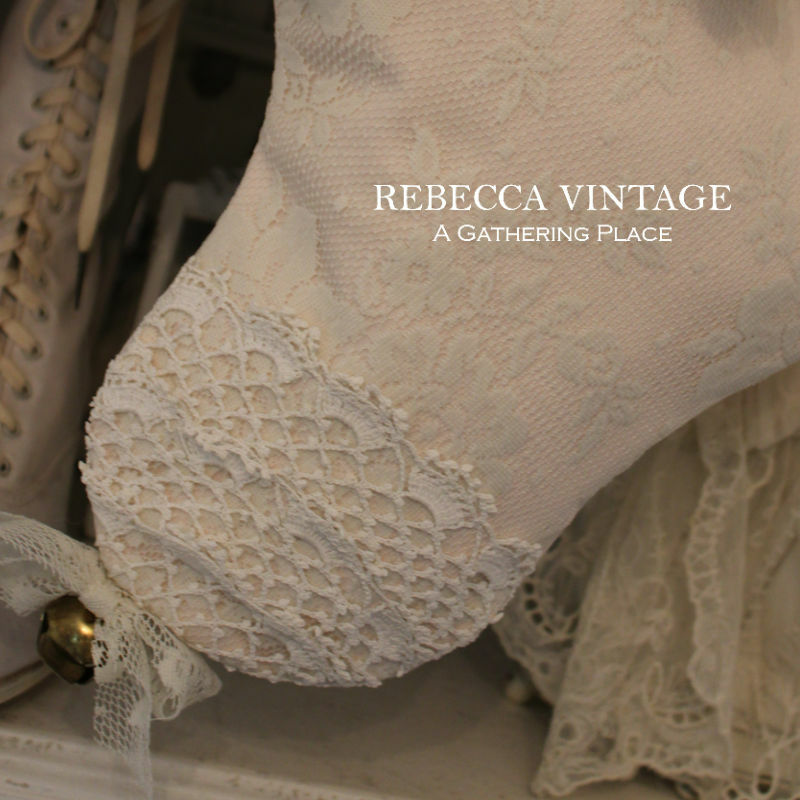 The Stocking showcases vintage cluny lace on the top and hand crocheted lace at the toe. 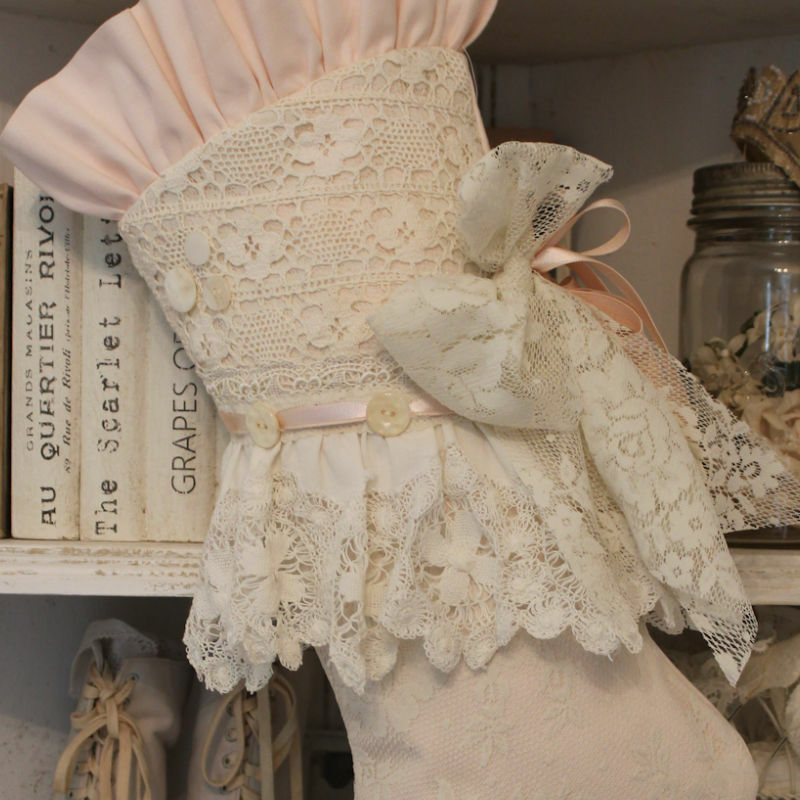 Stocking includes vintage shell buttons and a removable pin made with more lace sheeting and vintage pink satin and faille ribbon. Graced with an all around ruffle. 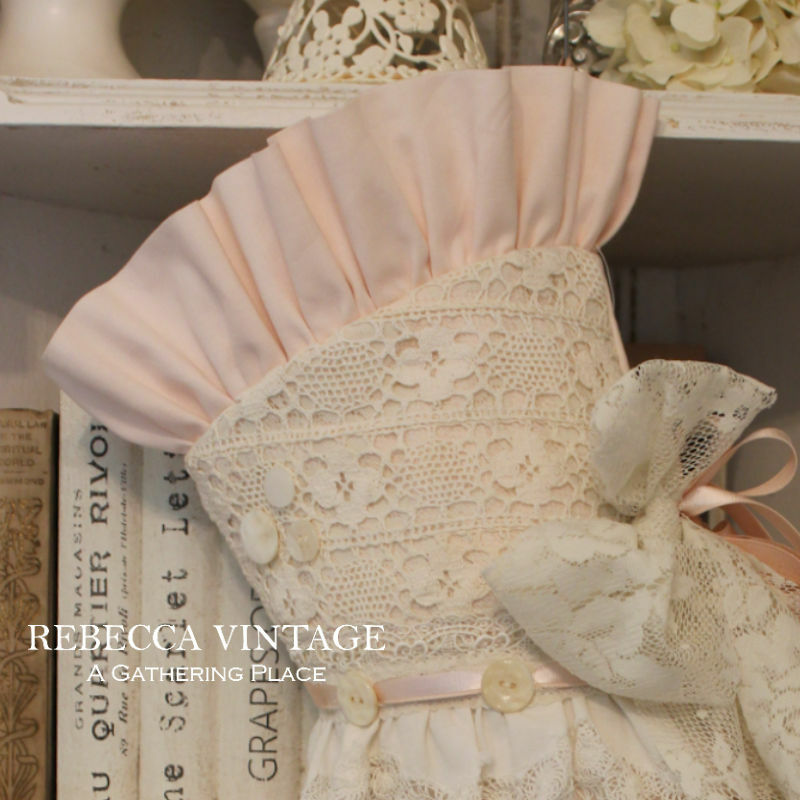 Both the ruffle and reverse side are fashioned from the same lovely pink cotton used on the front. Final touch is the vintage brass jingle bell found at the toe.